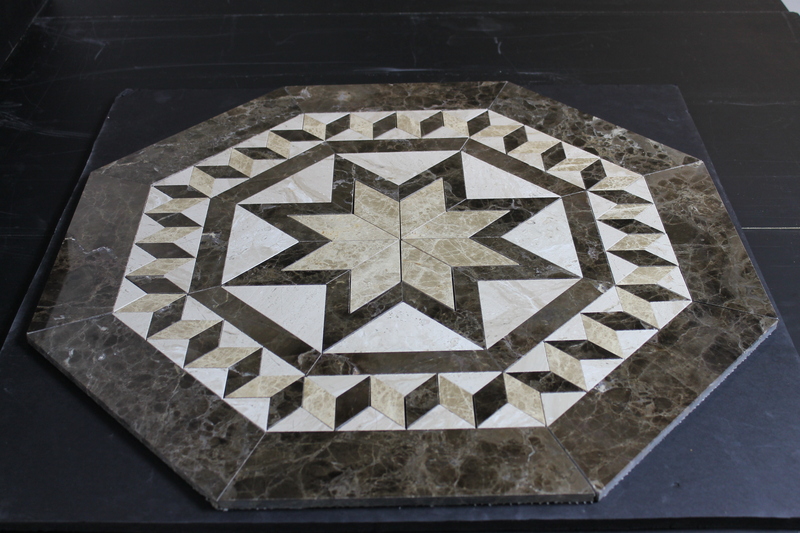 The Medallions and Decorative Pieces that we make over at Designer Tile Plus, we would like to think of as unique. 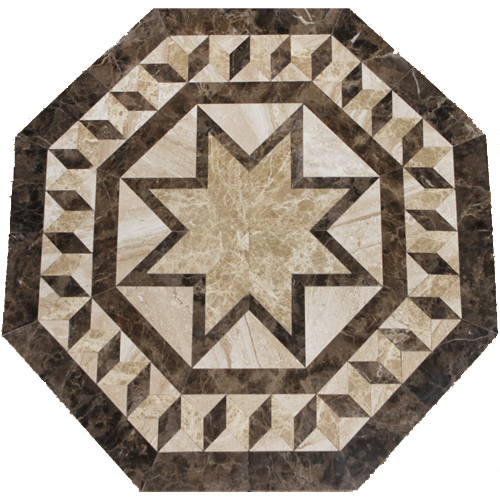 We like to think of them that way because our customers have a choice in the colors and the size of the Medallions and Decorative Pieces. 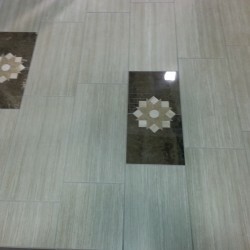 This allows our customers to match the color and theme of the tile they are using to their designs. 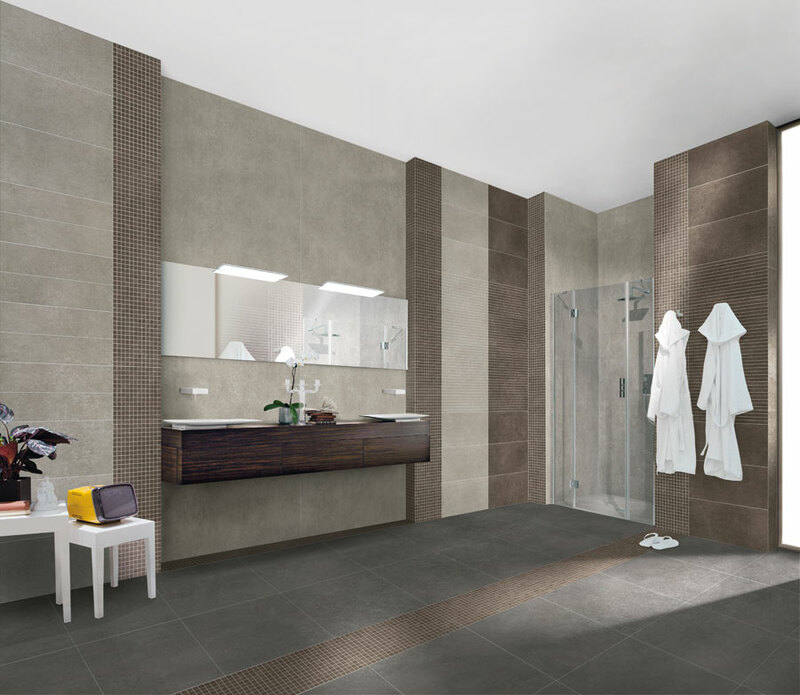 Such as going for a more modern look or going for the more cooler tones such as the greys. 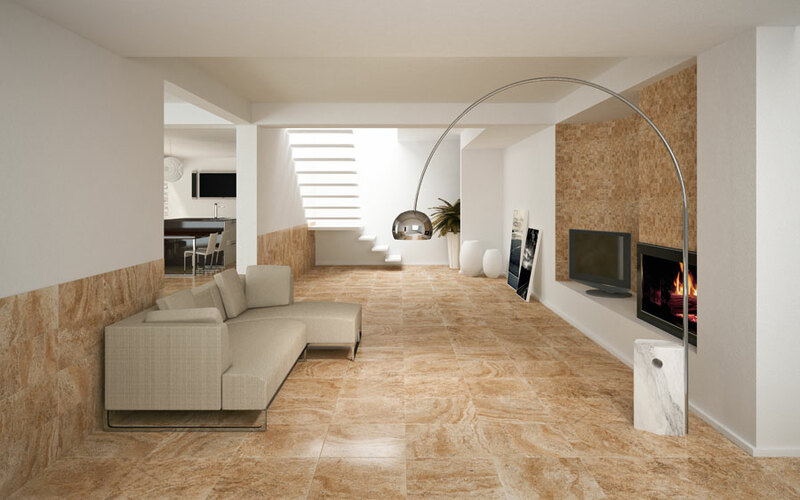 Which is very popular right now for the more contemporary or modern looking home. 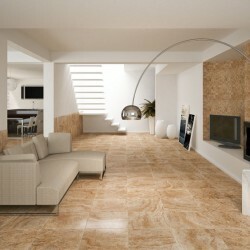 Or going the more traditional colors of beige and browns. 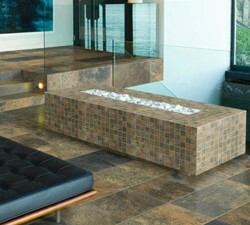 Or instead of going with greys or browns you decide you want more color such as red. 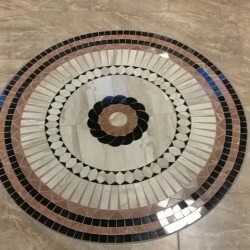 Changing the colors of the Decorative Pieces and Medallions to better suit the colors of the tile will give a better flow and allow for them to stand out better on the floor as you flow throughout the house. 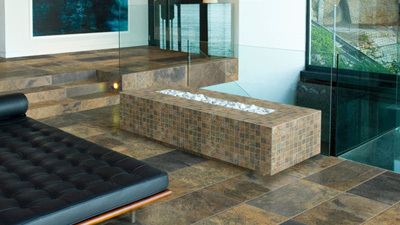 Using accents in the brown and beige colors will stand out in a grey floor but probably not in the way you would like. 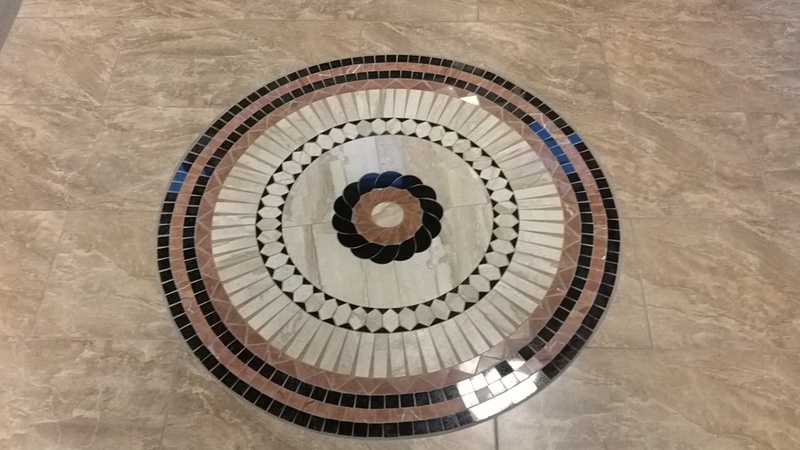 When we change the colors on the Medallions and Decorative Pieces the different colors and the placement of them will give the whole design a different feel and look. 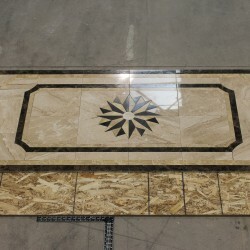 and before we send the medallion or the decorative pieces out to your home we let you come in and take a look at them and give your final approval. 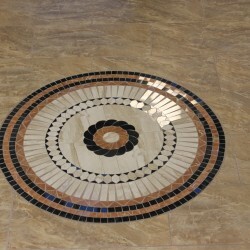 Allowing you one last chance to change the colors before they leave and make their way to your house to be installed. 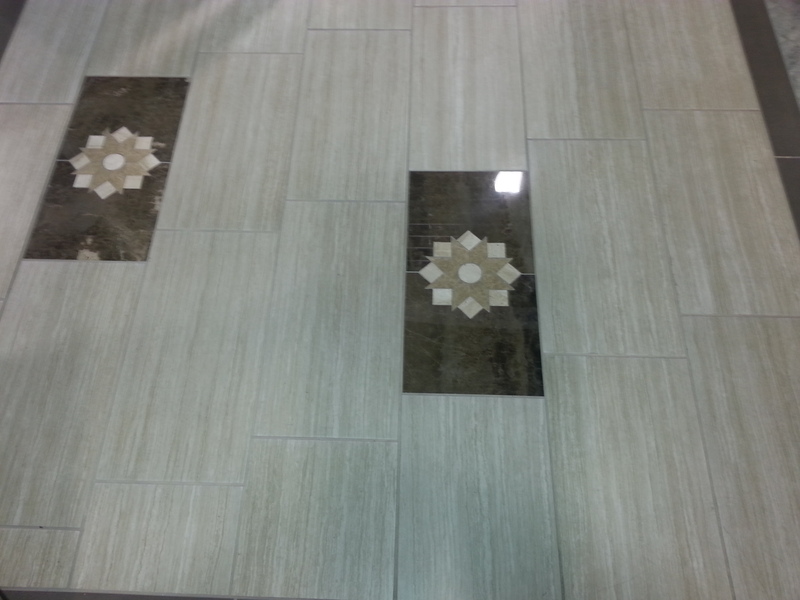 The New Fashion Trend in Tile is no longer square tiles but rectangles. 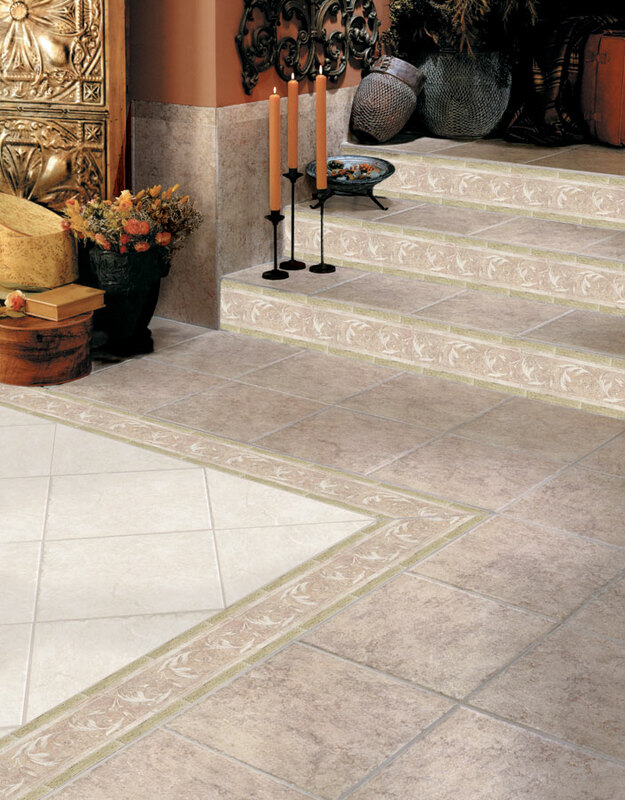 The most popular is the 12×24 tile size that people are using on their floors. 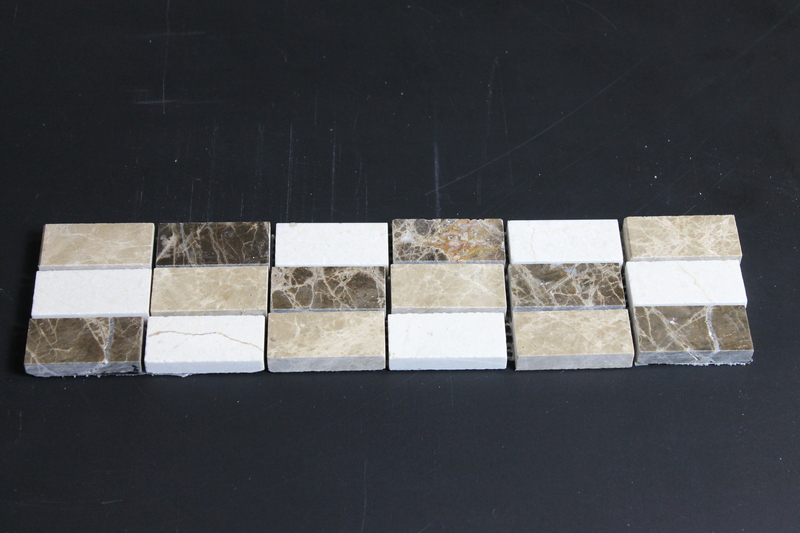 18x36s and 24x48s are also being used as well. 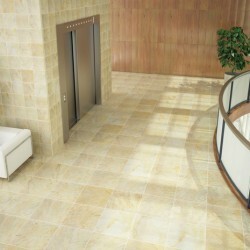 But the easy installation of the 12x24s make it the most dominate size sold today. 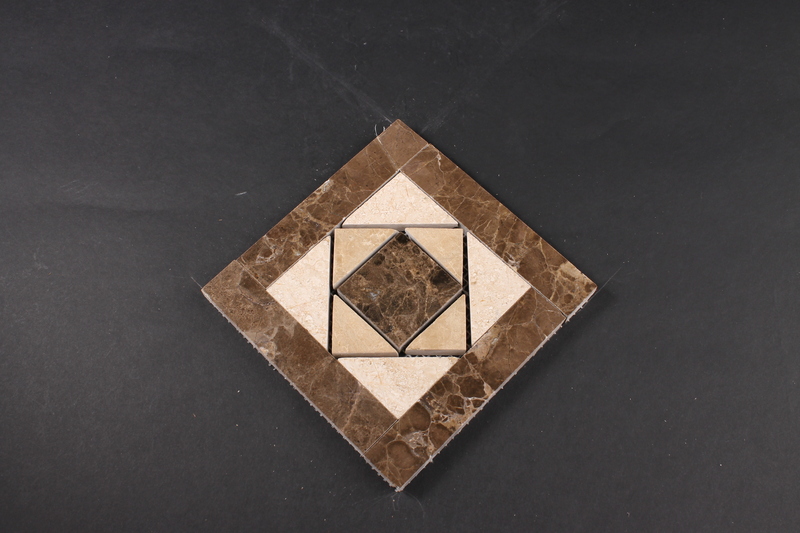 18x18s and 16x16s are still being sold but the difference is the 12x24s give you a more modern look than the traditional square tiles. 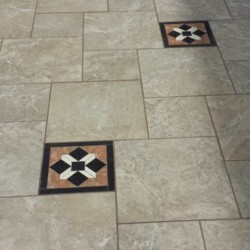 The difference between using a 12×24 than the traditional 18×18 is a quarter of a square foot so you are not adding tons of grout to your floor with going with the 12x24s. 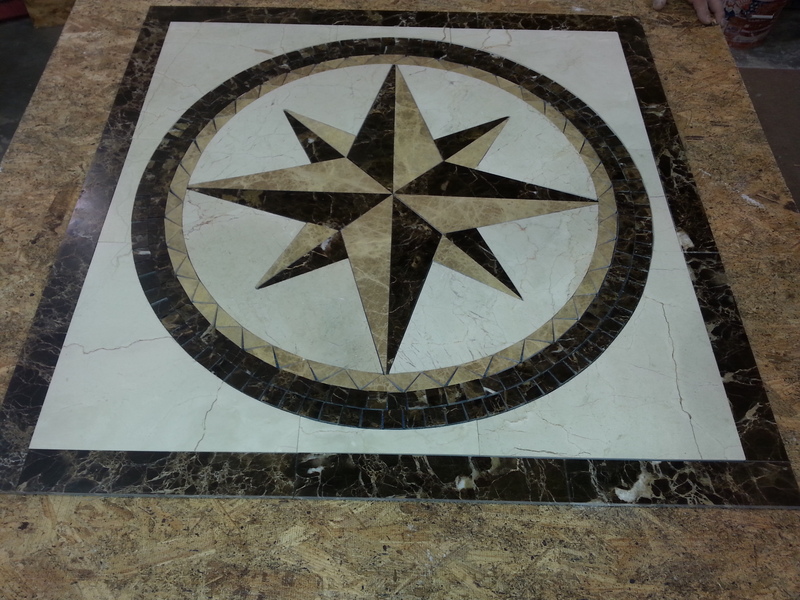 Many of the more modern looks that are available are only available in the 12×24 format verses the 18×18 or 16×16. Some of them are available in the 20×20 and 24×24 format but not all of them are. 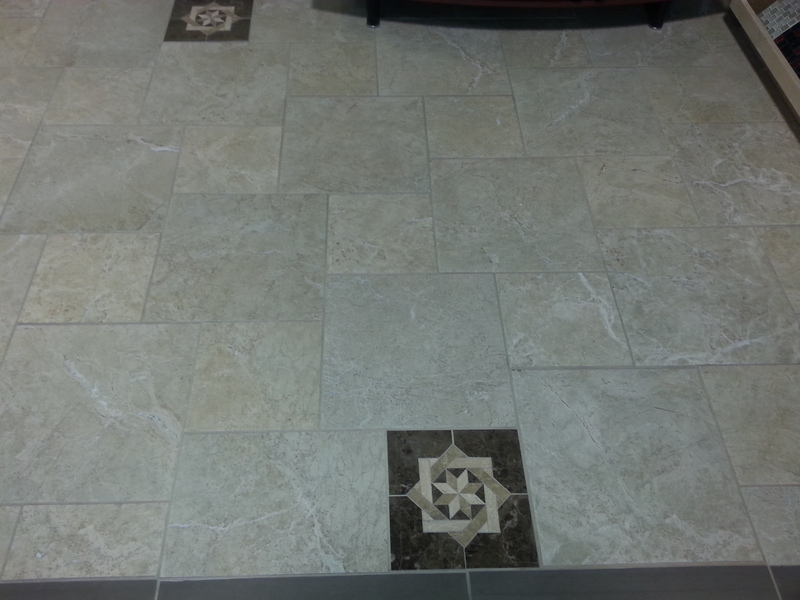 So if you are looking for a more modern looking floor the easier selection is in the 12x24s than an any other size. 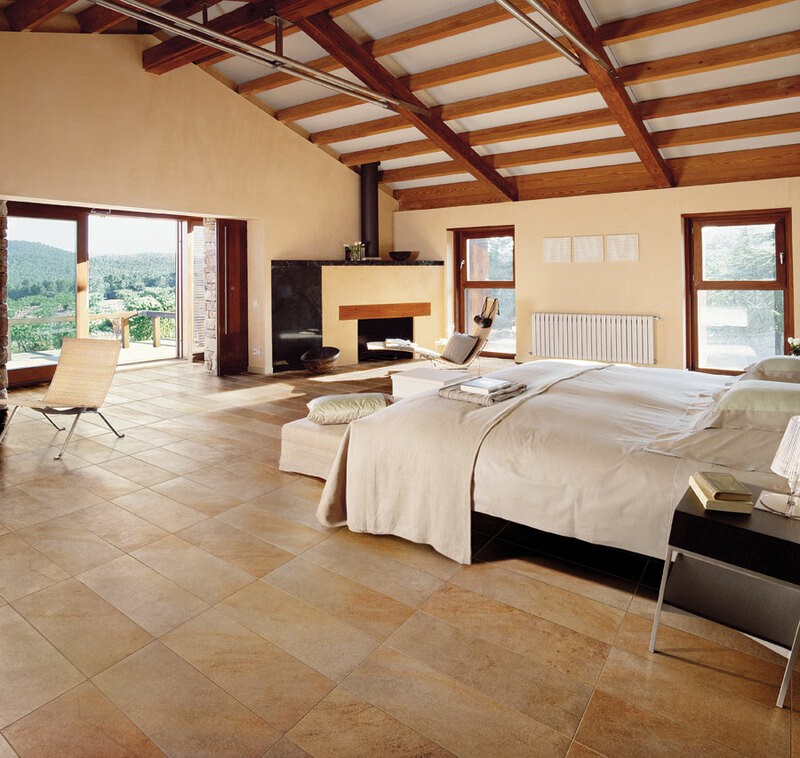 Even if you decide to go with the more traditional square tiles on the floor. 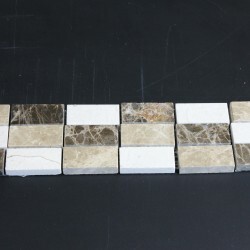 The 12×24 is the most dominate of the tiles being used on the walls. 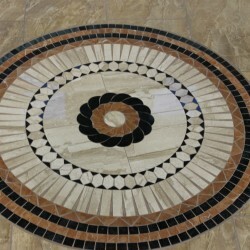 It makes a dramatic statement on the walls as it does on the floor. 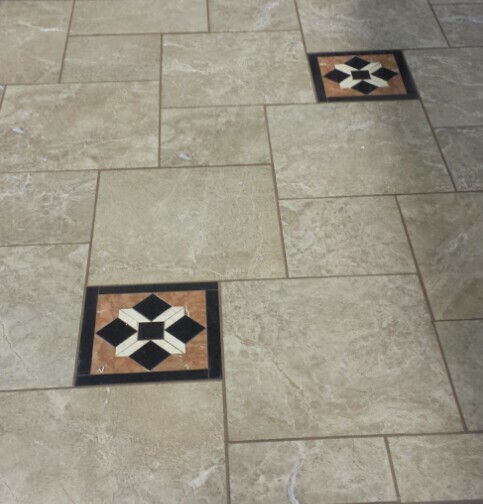 And compared to the 3x6s 4x4s and the traditional 6x6s that you see on the walls it is stunning to see, and with the fewer grout lines much easier to clean and maintain. 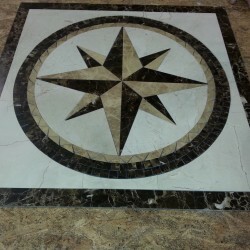 One of the Great Things we offer at Designer Tile Plus is our Custom Made Medallions that we sell to our customers. 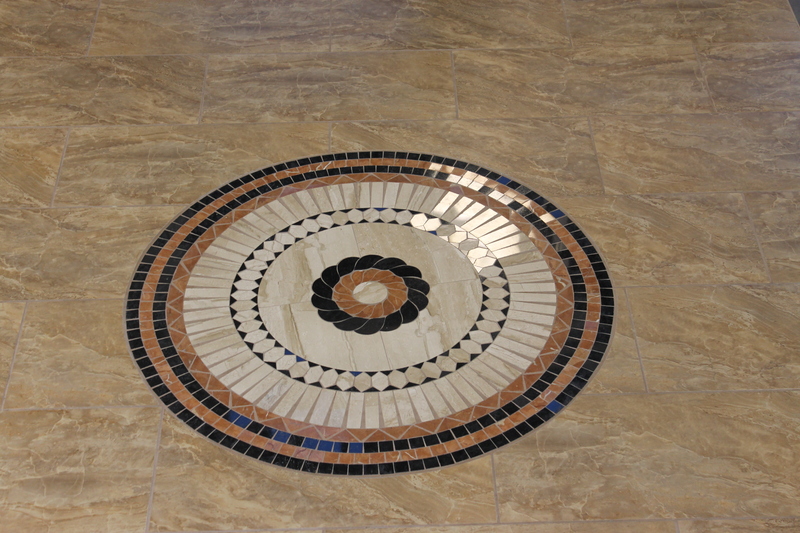 We take pride in our medallions and we enjoy seeing them installed in our customers homes. 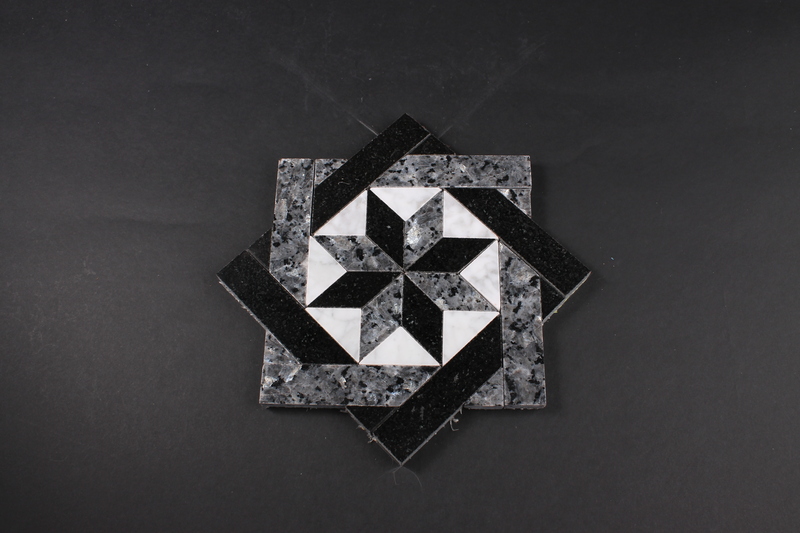 And to help those who are thinking of putting a medallion in their homes we thought to give you a few pointers on how to install them. 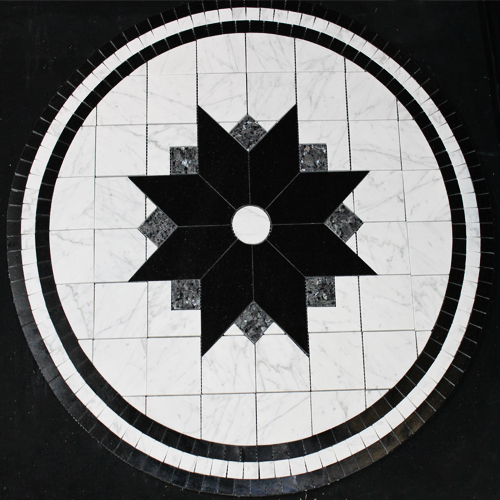 Due to the netting that we put on the medallions as we make them the medallions are a hair thicker than your standard 8 millimeter tile. 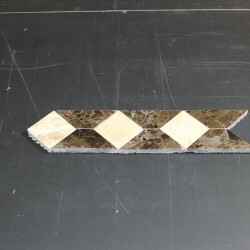 Because of that we suggest you use a half inch notch trowel when spreading your thinset to give a thicker bed for the tile so when you put the medallion in they are the same thickness. 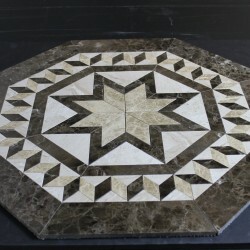 Now there are tiles out there that are thicker than 8 millimeter so you don’t have to use a thicker notch trowel when setting those tiles on your floor with a medallion. 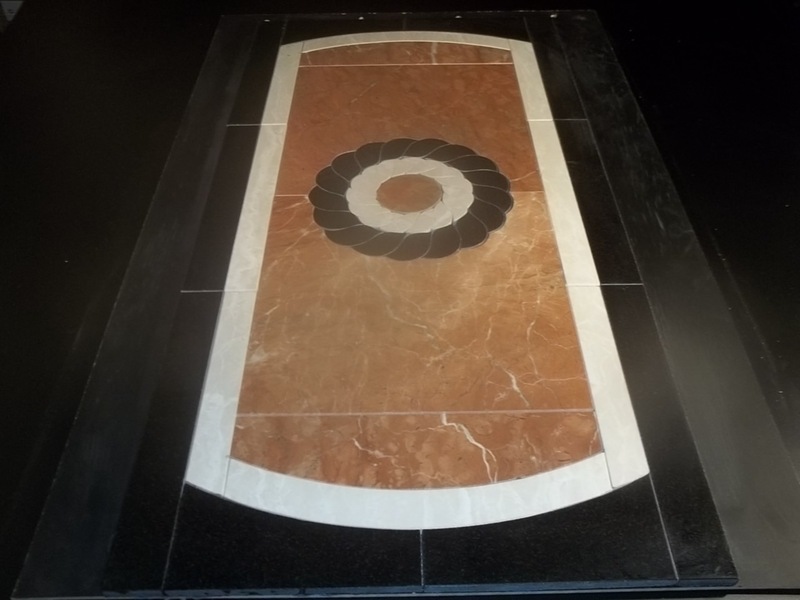 and when you are purchasing your medallion you can verify the thickness of the medallion to the tile to make sure which notch trowel you will need to use. 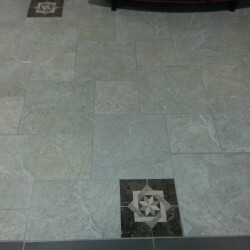 Now at our showroom all our medallions were set after the tile. 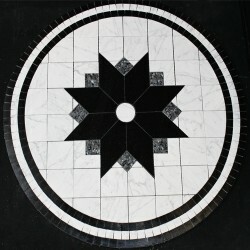 Meaning we set the tile than centered the medallion to where we wanted it and than traced and cut the hole for the medallion to go. It takes longer but for us it gives a better look in the end. 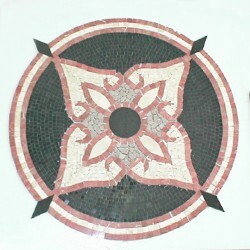 And if you are still on the fence come on down and see 4 of our bigger medallions installed and see if it interests you at all. 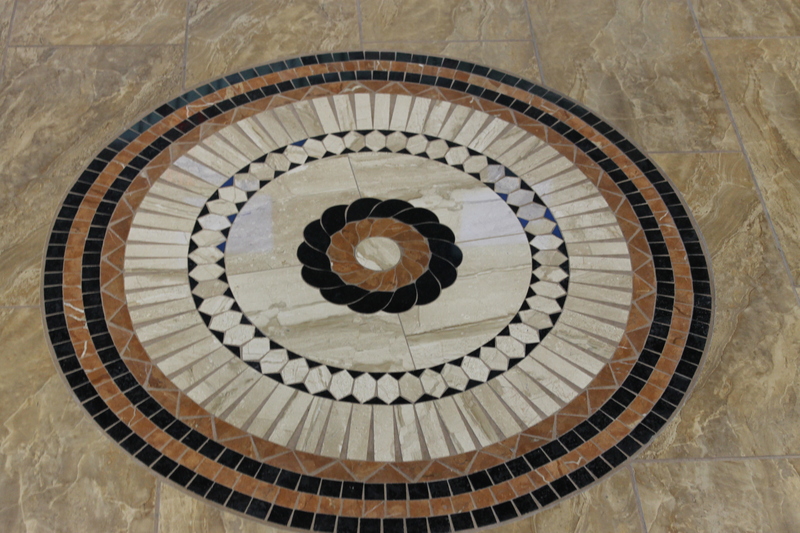 There has been a surge in the resurgence of medallions in the Las Vegas Valley. 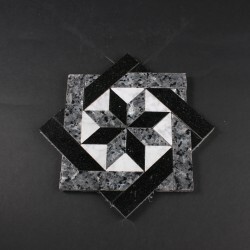 Our Modified Kissed Rectangles as well as our new square medallions have been used in remodeling, and with people building and flipping houses. 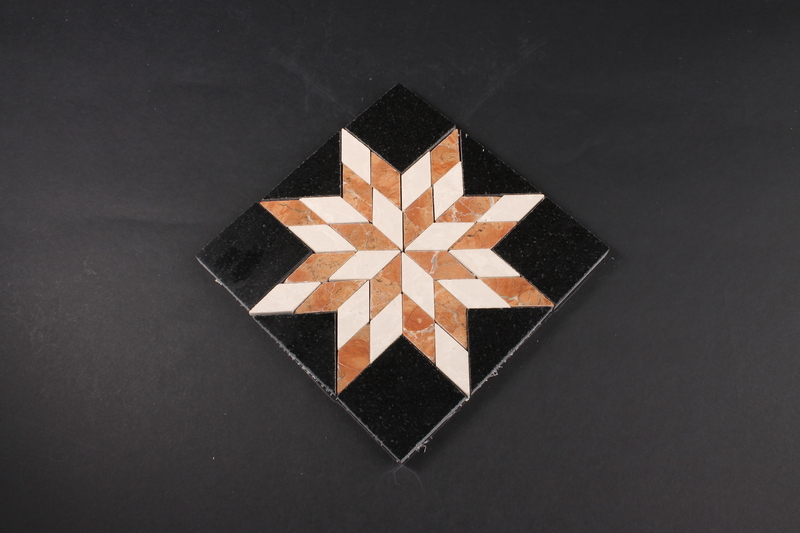 Many of our buyers have come in with a piece of their tile and have had us make it the width of one, two or even three tiles. 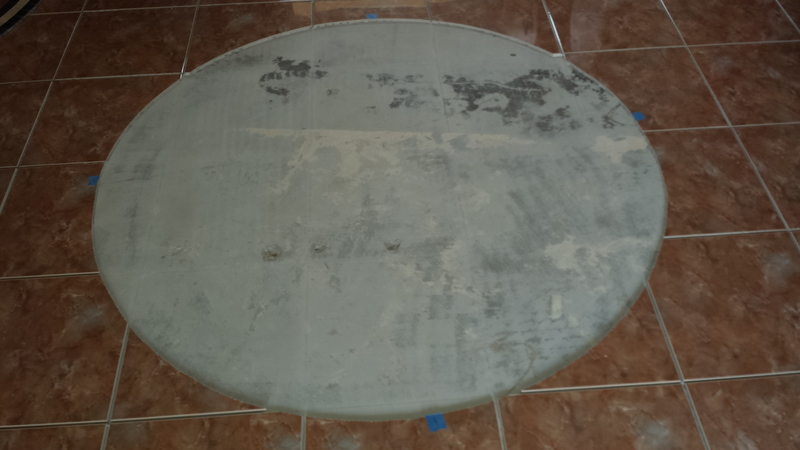 Than all our customers or their contractors are doing is popping a few tiles up and prepping the floor and installing a medallion in its place. 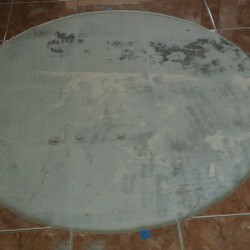 A very simple project for the average do-it-yourselfer, or contractor. 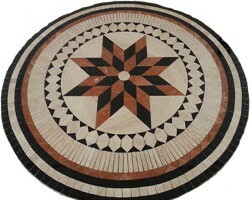 Circles, Half-Rounds and Octagons are still being made and sold. 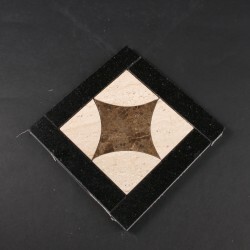 But our squares and rectangles with the simple ease they have with no cutting them into the existing floor makes them a wonderful thing to install if you don’t want to rip up your floor at all or are worried about cutting the medallion into the floor later on. 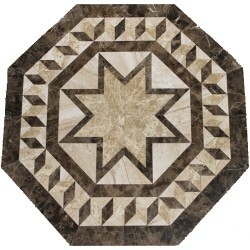 If you are in a rush we do have medallions that you can take with you when you come in. 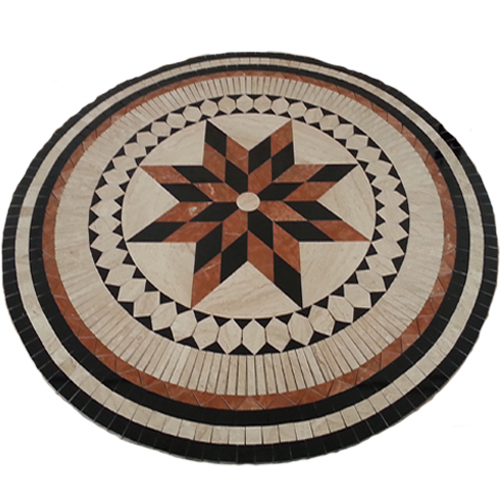 But if you have a little bit of time we can make your medallion in the colors of your choice and the size that you truly want and will love. The turn around on our Medallions from Start to Finish is usually pretty quick. So even at the 11th hour we can sometimes even come in on time. 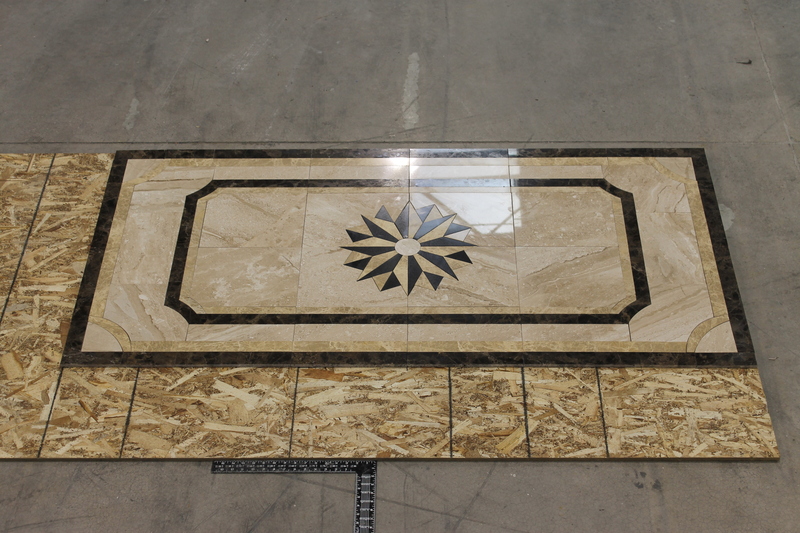 When you are using Decorative Pieces in our floor we always wonder how many and where they go. 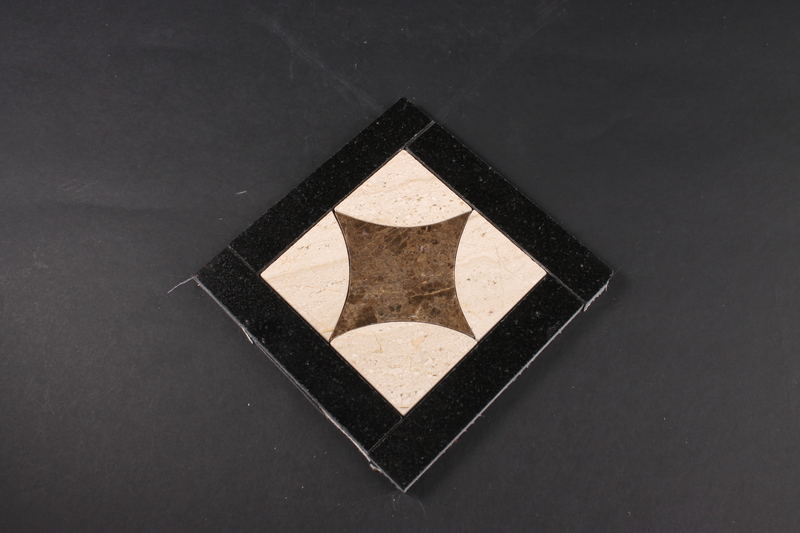 In a general installation it is our recommendation that you should have them no closer than one every sixteen tiles. 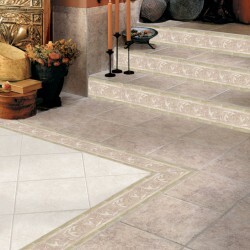 This way when you are installing them in your floor you have better discretion on where they go inside your house. The worst feeling is knowing that once moved all your furniture back into place and half the decorative pieces are now covered. 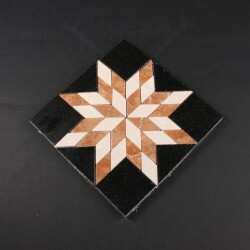 One of the nice things at Designer Tile Plus is that we make all the designs at our store, at 6290 South Pecos Road Suite 100, the decorative pieces can be done in the colors and size of your choice. 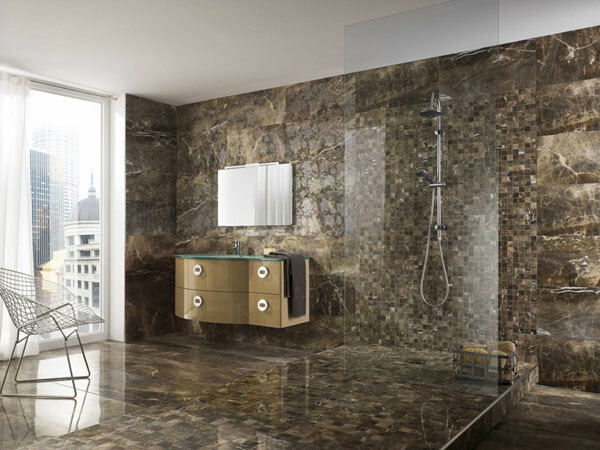 So what you are seeing is just a small fraction of what is available. 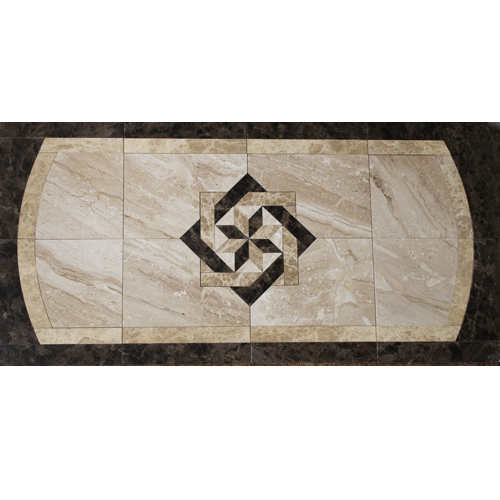 The sizes and the colors are all mutable so you can choose exactly what you want to go into your home. You are no longer looking at what you see is all there is. 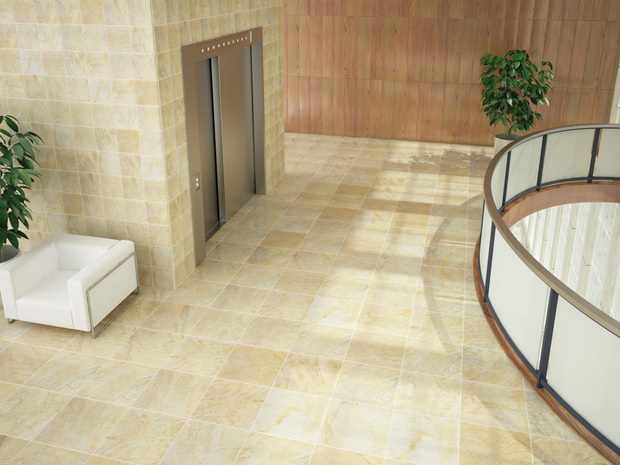 The sky is truly the limit here at Designer Tile Plus. 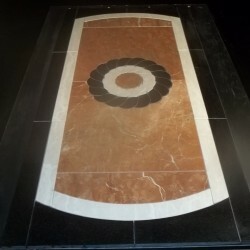 As the this picture of Grandeur Elegant Amber in a Pin Wheel Pattern is a nice example of not only making the Stephano Design better suited than our traditional brown colors but also making the design replace one of the 12×12’s in the pin wheel pattern. 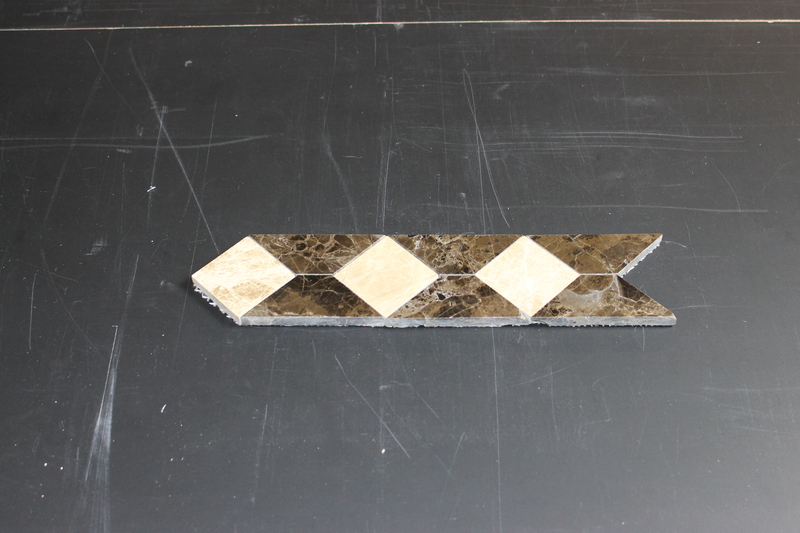 Removing any need for cutting corners when installing the tile to add the decorative piece while installing. 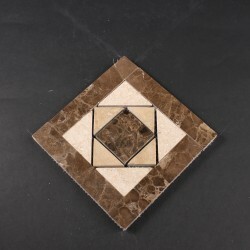 So if you want that true designer look without that designer price come on down and let us help you choose the design and colors you want in your decorative pieces. 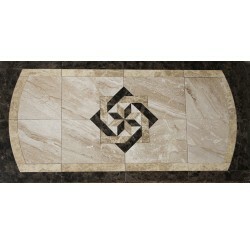 Because here at Designer Tile Plus we specialize in Designer Quality at Outlet Prices.